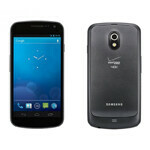 Bummed out that Verizon is apparently moving back the release of their LTE Galaxy Nexus yet again? We have a small consolation prize – the official Verizon simulator for the Galayx Nexus has been found on their website, so now you too can see how Verizon plans to demonstrate the new features of Ice Cream Sandwich on the Google flagship phone. Sure, it’s not as buttery-smooth as using the real thing. Or even remotely like using a physical handset, but at least it’ll help you pass the time as you wait for the Real McCoy to show up on America’s largest LTE network. Hopefully this means that the official Verizon product page will be going live very soon. Click on the source link to try it out for yourself. Yup I just called a couple of stores here in nyc and tomorrow it will go on sale. LOL! Really? Give us the phone already! The home screen features bored me. Nothing new to that. People are sick and tire of Nexus rumors launch date.